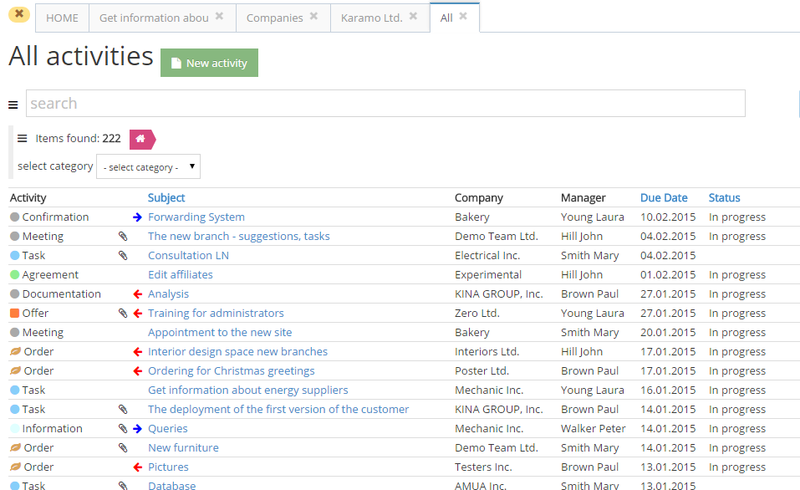 ACTIVITIES record all activity within a company or project. This may be an offer, order, information, invoice, minutes from meetings etc. Just any document resulting from the communication – written, e-mail, telephone, etc.. Can be in various forms – letter file in Word, e-mail, scanned image. These documents are then ranks according to the data of in company or contact person, so they are easily foundable. At activities you can work with their status and so you have a clear view of what has already been completed and what still requires our attention. Card of activity is divided into invidual tabs, in which information are divided into logical sections. 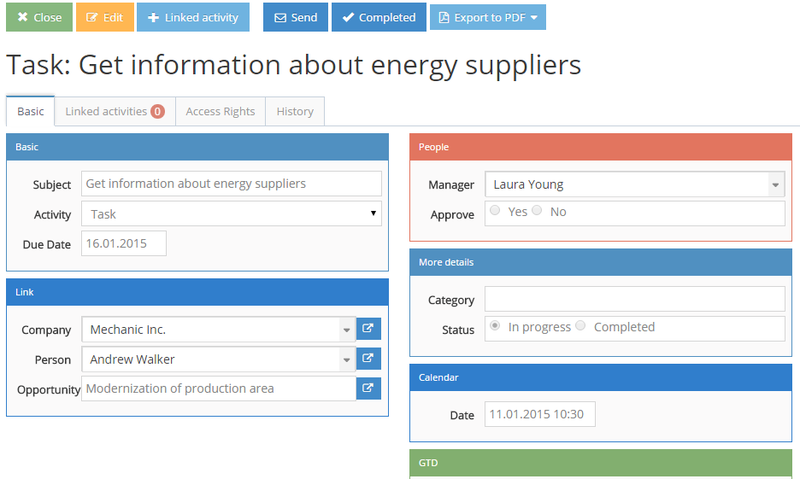 The part of form is a button bar allowing active work with records.